Canada’s Globe and Mail wrote about Teva Neuroscience today. Teva was selected as this year’s best small business to work for in Canada out of 119 companies that were under consideration. In the Globe and Mail article I was impressed by their focus on the 3 ‘clarities’ of structure, direction, and measurement. To Teva, engagement is much more than having rah rah events and trinkets to perk employees up. 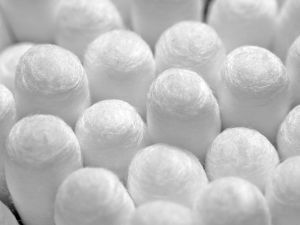 If we are not hearing clearly we may use a cotton swab to gently clean out our ear – if we are not clear on our performance we can use the 3 clarity questions to be “more here” in our organizations. David Zinger from Winnipeg writes: I appreciate the section: We focus on three clarities – Clarity of structure: Where do I fit in with this company? Clarity of direction: Where am I going? Clarity of measurement: How do I know I did a good job? Brigitte: For the on-line discussion I would appreciate if you would elaborate on this and also answer the question specifically for yourself within Teva Neuroscience. clarity of structure speaks to the role an individual has and the responsibilities and accountabilities in their day-to-day activities, and also ensures understanding of what other people do in relation to your role. This clarity gives people a better and broader understanding of the business we’re in. clarity of direction gives people a sense for what we are trying to achieve and where the company is going short and long term. This allows people to align their activities with the broad corporate objectives. clarity of measurement gives people a tangible signal for when they are doing the right thing and an appreciation of their individual effort in relation to the overall success of the organization. Einar Westlund: From where I stand and what I know of Teva’s actual survey feedback data, the company scores exceptionally well, overall (about 1.6 times higher than average organization in overall database) in engagement driver area we call “Managing Performance,” which usually includes the last “clarity item” mentioned above (measurement) in addition to many others. First two clarities typically refer more to discussions employees have (or should be having) with their managers (or qualified resource) about their career interests and aspirations, career paths, what’s needed to get ahead in the organization, what specific opportunities are available, etc. This area is typically a challenge for the smaller, earlier-stage growth enterprise and requires some creativity to address in ways which meet both employee desires and corporate realities. Career pathing, succession planning etc. at level seen in larger organizations may not be practicable so much in the smaller firm. 1. How clear are you on the 3 ‘clarities’? Clarity of structure: Where do I fit in with this company? Clarity of direction: Where am I going? Clarity of measurement: How do I know I did a good job? 2. If you are not clear, what do you need to do today and this week to increase your clarity? 3. Brigitte did not answer my question about herself. I respect her choice not to respond in a public forum. More important than her response is how you would answer the question for yourself. Take 10 minutes to write your response for each clarity. This may be a powerful step in being clear about your workplace engagement.